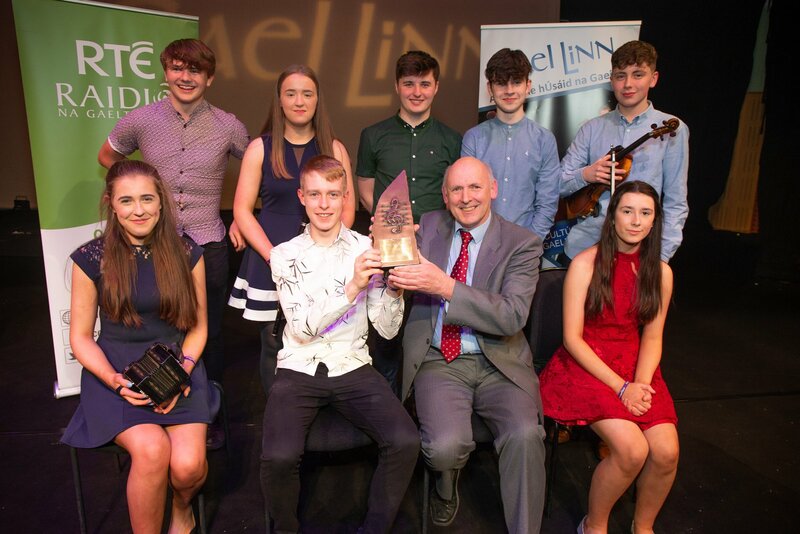 Huge congratulations are due to James Dunworth, Karl Rafferty, Emily Condon, Anna Sheehan, Eoin Burke, Brendan Power, Laoise Fitzgibbon and Micheál Fitzgibbon on winning Siansa Gael Linn 2019! This group of incredible musicians wowed the audience in the National Concert Hall on Sunday evening, 7th April. Amongst tough opposition from neighbouring Tipperary and Clare groups and further afield, Finscéal took the overall top prize of €2,500 and title of Siansa champions 2019!